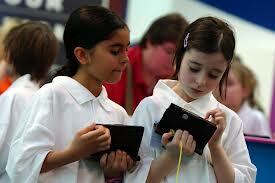 Two reports have recently questioned the technology investments made by schools in England. They raise the question of, not whether technology is ready for learning, but whether learning is ready for technology? BESA (British Educational Suppliers Association) claim that pupils in England are at risk of missing out, not because they don’t have the digital content, but because the schools don’t have good enough digital connection. Education research company C3 surveyed a representative panel of some 600 state schools for Besa. Of the 250 secondary schools surveyed, 22% had wi-fi in most or all classrooms, 39% had it in some classrooms, but some 39% had wi-fi in a few or no classrooms. Of the 350 primary schools, some 28% had wi-fi in most or all classrooms, 22% had it in some classrooms, but 50% of all schools only had wi-fi in a few or no classrooms. This could be seen as a critical infrastructure underinvestment and potentially limits eLearning’s capability to add value. This is at a time when technology is becoming more mobile and the ability to link devices seamlessly to the network becomes pivotal. Importantly, it could limit teaching to certain hot spots and obviates technology being available to all, regardless of classroom walls or class time. However, wi-fi is not cheap and could cost £15,000 to connect a 500 pupil primary school and up to £50,000 for a large comprehensive. But with more mobile devices, pupils having their own devices and increasing demand for eLearning, some would argue that wi-fi should be viewed as a basic utility not unlike water, heating and light. Education Secretary Michael Gove wants computing higher on the agenda and that children learn basic computer code in primary school. He also wants children at 11 to be able to create basic animations and websites. It is hard to see how these targets can be achieved without the full network infrastructure. Last Year, NESTA (National Endowment for Science,Technology and the Arts) claimed in their report, Decoding Learning, that there is clear evidence that technology can boost learning. They estimate that in the last three years schools in England have spent over £1.4bn on technology, but that all too often it is not being used to its "full promise and potential". Their research team, from the University of Nottingham and the London-based Institute of Education Knowledge Lab, found there was clear evidence that technology such as interactive whiteboards, digital tablets and software could help improve pupils' learning. However, they claim that often they are used without a strong understanding of their potential and many schools still use them to support old teaching methods and objectives. They state that, replacing an exercise book with a tablet is not innovation, just a different way to make notes. So we have claims about the lack of appropriate investment in network infrastructure in schools and also claims that the technology deployed is not being fully exploited. It is claimed by both reports that schools need more help and best practice guidelines on how to invest and exploit technology. A few weeks ago on attending BETT at Excel in London I was somewhat overpowered by the array of shiny new technology options on offer. It is little wonder that schools are somewhat bamboozled by the choices on offer and take a cautious investment route and even make buying mistakes. Remember Palm and their operating system WebOS? It was bought by HP in 2011 for $1.2bn. At the time HP gave it 100% backing, but much like the football Chairman who gets the backs his manager during a bad losing streak, they have decide to change. HP did launch products such as their TouchPad which ran on WebOS, but the result was poor sales. Palm developed WebOS to run smartphones, Tablets and mobile devices but was swept aside by Apple IOS, Google’s Android and even fell far short of players such as Blackberry. HP will retain the underlying WebOS patents and technology but will handover the source code, documentation, would be used to power its next-generation smart TV technology. The big question now is whether WebOS will fair any better against the same competitors in the emerging smart TV battleground? Will an Android dominance lead to manufactures want to create their own look and feel, or like Microsoft is doing with Windows 8 will they merely jump ship to the perceived next best thing? To demonstrate what HP actual thinks they have just launched their first Android-powered HP Slate 7 tablet, at the 2013 Mobile World Congress. 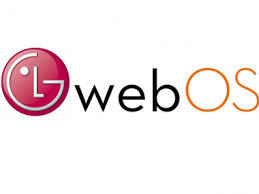 HP is not thought to have recouped the money it paid for Palm for WebOS.. The news that Barnes & Noble’s losses in its Nook Media division will be higher than the previous year and that revenue projections for 2013 will come in significantly below forecast, raises the question of whether it is positioned to slug it out with the technology giants, expand internationally, or whether at some time soon it will have to exit the device market and focus on its content? Only last year it secured an attractive partner and cash from Microsoft and later Pearson bought a 5% stake in Nook Media. So is this a blip, or a serious issue? The question is whether a move away from, what after all, was never their core competency or strength - technology engineering, to what is their core strength - trading content, will work with the market, their partners and the consumers? If we look at the market Nook appear to have the bases covered with their platform and devices and content on offer, but have they? First, we have said before that neither the Barnes and Noble or the Nook brand is well know outside of the US and their launch into Europe last year was too low profile and far too late. The ebook business is a global business and sitting in the US and expecting instant recognition could prove a fatal error of judgement. If we were to ask consumers on the main city streets of Europe even today if the knew of Nook or Barnes and Noble, what would be the response? If we asked the same people the same question about Apple and its iPad, Amazon and Kindle and even Samsung and Galaxy the results are almost certain to be very different. This would not be the same in the US, but although Barnes and Noble have dominated the book market, they have failed to dominate the ebook or device market. Is there any reason to believe that, if they can’t do it at home, they can did it abroad? Being a follower isn’t always good in a rapidly changing and costly market. Barnes and Noble are not technology innovators and also do not have the deep pockets of their competitors. Apple have their own environment which is constantly being fuelled by ‘fans’ and is about a family of strong global brands. They sell, or facilitate the sale of content and apps on the back of a robust end to end technology range. Amazon is the world’s largest online retailer of ‘stuff’ and have created an effective marketplace and service offer. They sell technology and services to effectively ‘lock in’ consumers to their ‘one stop shop’ marketplace. Samsung are like Apple, but are today’s leader of the significant Android pack and have yet to really score on the content side. They are clear leaders and are heavily tracked by a host of technology players. Blackberry and Sony are fast becoming an ‘also rans’. Microsoft have the ability, but often lack the execution. If the Slate would have been a full Windows 8 device and not yet another deviant the story may be different even today. We must also remember that Barnes and Noble / Microsoft partnership which married an Android based technology Nook platform with a Windows 8 one with its own Slate device running under Windows 8RT. Not exactly a compatible marriage. Imagine feeding those profiles into an online dating agency and expecting to find the love of your life! 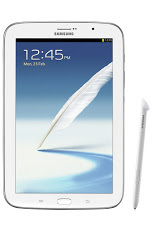 At the core of this turmoil is the reality, that even tablets as we know them today may well be transient. As the mobile range of devices continues to converge and more intuitive devices such as glasses and watches emerge to connect to mobile servers and the cloud, do we honestly think the Nook has the legs to compete as it stands today? Nook Media needs to shift itself fully to cover what it says on the can – media. It is still in a strong position to build a retail, library, education offer that is device agnostic and free of the cost of competing with giants, yet agile and canny enough to licence and brand build a true competitor to Amazon. Consumers increasingly want a seamless one stop trusted shop that covers media. Although Kobo now has deeper pockets and is backed by a media giant it faces the same challenges and same opportunities. They do have a better global presence, but do not have the right market awareness and perception today. Consumers recognise that technology isn’t for life but they want to know that their chosen platform will be around for some time. We hope that Barnes and Noble decide what they want to be when they grow up and effectively communicate it and take some fast and bold steps to set the on that path. Some will say that the tipping point comes when the sales hit a certain level. But is that just the result and what drives consumers to change from eight track to Cassette and from that to CD and from CD to MP3 streamed? Some 15 years ago we couldn’t understand why many cars were still being fitted with cassettes and forcing us to keep cassettes alive. A good friend and media guru, Trev Huxley, told us that the key was simple and the day the car hire firms started to demand CD players in their standard specification the game was over. At that point the car manufacturers fit them as standard in all cars and the old devices, format and collection become obsolete. We then went through the CD player and the frustration of having to cart CD around and often find the one we wanted to play in the house was in the car. We dreamt of the day we could play music on demand and not have to carry CD around with us or plug in our collection through a iPod or smartphone. We love to find those hidden gems which those in the know often take for granted but which genuinely surprise and inspire us. Today we learn about one whose history and proposition has much to offer in our thinking out the bookstore and library of tomorrow. When the Mercantile Library of New York opened in February 1821, the city of New York had fewer than 200,000 inhabitants and the entire population of the United States was only 9.6 million. It was the era of massive expansion, opportunity and mass immigration. The dawn of the American dream. William Wood was a successful merchant who was devoted to reading and to the education of mercantile tradesmen and genuinely interested in creating future business leaders out of young men just beginning their careers and doing so on the back of Benjamin Franklin’s recommendations for the creation of lending libraries. Wood convinced a number of wealthy merchants, that an investment of a few hundred dollars could establish an institution that would keep their employees “away from the rum-shop and the billiard-room.” In time the merchants became shareholders and this Mercantile Library model was adopted by others in cities such as Philadelphia, Albany and New Orleans. When it opened dues were two dollars a year and there was a one-time initiation fee of one dollar. By the early 1870s, the Mercantile Library was the fourth largest library in the country and the largest lending library in the United States. Only the Library of Congress, The Boston Public Library, and the Harvard University Library had larger collections. Encourage people to read and value fiction and to support and celebrate its creation and enjoyment. With all our resources, including our exceptional book collection, our beautiful reading room, our expanding website, and our ever-growing array of creative programs, we seek to serve the reading public, to build a larger audience for fiction, and to create a place where readers and writers can share their passion for literature. By 1893 circulation of fiction far outstripped circulation in all other categories: of the 169,627 books circulated, 92,374 were fiction. The appeal of the library was impacted by the creation of the New York Public Library at the beginning of the 20th century but it continued and weathered the great depression, two wars and the recession in the 1980s. In 2001, it began to focus on its fiction collection adding its mystery and suspense, which contained many first editions and rare early mysteries. The Center now has a collection of over 85,000 titles. It is now a literary arts center for the 21st century, a meeting place for readers and writers with a annual program of over 60 literary events which are free or low-cost featuring over 100 authors, translators and critics each year. They offer reading groups and writing workshops led by acclaimed teachers and writers, partner with literary magazines and independent publishers to present the best emerging authors, provide low-cost workspace and grants for writers, have an independent fiction bookshop, and feature programs to get kids reading. The history of the library and how it has embraced culture, community, commerce and forged a position between authors and readers has much to offer. Today it is encouraging new members to its great proposition by a greatly discounted membership via Groupon. It clearly is not and never has been afraid to lead the way. The latest lawsuit to surface in the US has been raised by three independent US book stores and is against Amazon and the major trade publishers. It is done in the name of all independent bookstore and although it would appear little more than a great PR stunt. At the core of their claim they assert that Amazon has acted with publishers to effectively create a monopoly in the marketplace and control prices through the use of their proprietary DRM (digital rights management). The logic begs the question as to whether the stores understand the marketplace, technology and also what outcome they are wishing to achieve? They claim that if a consumer decides to switch to another company's ereading device, they would lose access to any already purchased ebooks. This is a fact no matter which ‘walled garden’ you buy from. Some would suggest that in signalling out Amazon their argument is in fact flawed. Kobo has its own DRM and ePub render software but also supports ACS4. B&N has ‘passhash’ which it acquired from Fictionwise and can also support ACS4. Apple has Fairplay and the wholesalers in the main have deployed ACS4 and so has Overdrive. Moving from ACS4 to another ACS4 platform is not straightforward. Unless achieved through a cloud approach, moving downloaded files from one device to another often requires patience and a manual! But moving between and walled garden is often if not impossible. This is without the various DRM technologies that can apply to PDFs. The result is that today we have today some five different DRM technologies being used for both ebook retail and library distribution market. The technologies often demands their own nuances, encrypted licences and even playing in its own environment can be far from user friendly to the novice. Amazon to its credit, has in the main, kept it simple. We would love to see an end to DRM ebooks full stop but even today see others such as film and broadcasting entities running to try and get it extended to open and important environments such as HTML5. 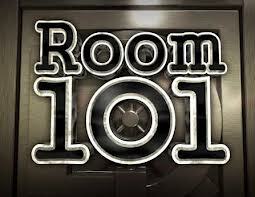 But let’s wave the magic wand and condemn Amazon’s DRM to ‘Room 101’. What about the DRM environments that remain? ACS4 may be prevalent but is far from user friendly and Adobe has even outsourced its service as it was not capable of managing the payment collections effectively. Do each of the other DRM services also have to go and if not does the same augment and claims fail the test? You either unilaterally remove DRM, or you construct a better argument. This would appear to be as ill conceived as agency pricing and far less robust than that other legal money-spinner the Google Book Settlement. Let’s envisage a world free of DRM. Do we honestly believe that the consumers that have bought into the Kindle platform will suddenly say, ‘now I can buy from the local independent so let’s go there!’ Naivety is hard to rationalise with, but the reason consumers like Amazon is not about their DRM. It is about their platform, one click process, thought through download capabilities from literally anywhere, their secondary offers such as Prime, film, games, music, lending and innovations such as FreeTime. All this without the primary offer of next day service on the constantly often best priced physical books. Some would suggest that its not just about ebooks but books and the independents have not seen past the books in print and some the front list, but Amazon offers used, rare and a marketplace for affiliates to compete in. Then the authors often now recognise that Amazon and their KDP programme offer the only real clean digital self publishing and importantly volume business. The independent bookstores, even put end to end, can’t make offer that today. Forget the legal claims and potential counter claims and court outcome and assume we suddenly have a DRM free world, much like the MP3 music world that prevails today. Will it make the playing field level? 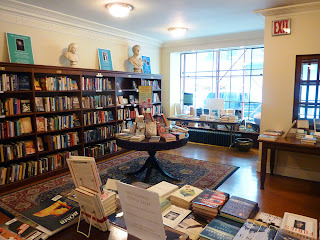 Will independent book store suddenly become digital centres of commerce and a must go to destination to buy ebooks? Are independent book store capable of presenting a compelling digital proposition? The reality is that they sat on their hands too long. Didn't respond to the early messages and often stumbled from one alternative to another and diluted their digital offer to being commissioned based within others walled gardens. Some would suggest that Waterstones are a classic case of a lack of digital strategy and execution and today could be argued are handing over their customers to Amazon. We must also recognise that Apple whose iTunes dominated the music download market before they moved to MP3 still dominate it today post MP3. Independent music stores and even chains are still sitting on their CDs. An MP3 level playing field did little to save HMV. The other consideration has to be the current digital ‘honesty box.’ Will publishers want open files to be distributed to anyone to sell, or will they demand that distribution is contained and achieved through a limited number of trusted associates? After all you are highly unlikely to hand out open access ebooks to hundreds and thousands of resellers you can’t effectively audit or even monitor. It was a pity that some industry bodies felt it wasn't their business and beyond them to build book community services when, after all , others were only starting themselves. The independents have not collectively or independently invested in their own repositories and distribution environments and are now reliant on third parties such Overdrive, Ingram, Kobo and others. The chains, or B&N, have invested, but have seen that they by themselves struggled to compete and often any success was limited to their home turf. The point is that the independents today can sell through many options, but even if they do, everyone in the chain will want paying and the resultant price may be itself a non-starter with the consumer. There are basically two parties that add real value the author who creates the initial value and the consumer who puts in the cash. Any market proposition has to recognise this. We all want book stores to survive and compete. We all want libraries to survive and compete. But the money spent in futile and expensive legal gestures could be invested far better. The Haven Books Group, owners of educational resource brands Badger Learning, Pandora Books and School Bargain Bookshop are delighted to announce the appointment of Martyn Daniels as a Non- Executive Director. Martyn steps into the new role immediately and with his extensive digital knowledge and skills, he will help guide the digital development and strategy of Haven Books. Daniels has extensive commercial experience gained across a number of sectors. He has previously been Strategic Development Director at Vista (now Publishing Technology plc) where he was the Primary Architect behind the PubEasy and Batch services. He has also managed a major offshore digital publishing service provider based in India which provided both digital conversion services as well as application services to the publishing market. In 2006 he wrote the ‘Brave New World’ report, which was published by the BA and subsequently has written over 2,000 articles on technology, media and publishing on his Brave New World blog. Daniels is also a Non-Executive Director of Bibliophile Ltd, a book mail order and internet company which holds a Royal Warrant. Haven Books Group are a leading supplier of educational resources to schools with an extensive range of products ranging from themed collections of books for Early Learning through to subject specific A-Level teacher guides. 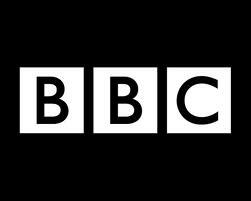 The BBC now appears to be losing its way in a sea of redefinition and a constant stream of new Director Generals. This week they announced a significant restructuring and rebranding within their organisation. Gone is the name ‘vision’ to be replaced by ‘television’ and also gone is ‘audio and music’ and in steps ‘radio.’ Yes the BBC is planning for the future by defining itself in the past! Children’s TV has its own channel with associated brands, merchandise and trading rights. There is an argument that it would make sense to do the same with sport, drama, news but irrespective people are watching it increasingly on demand, on tablet, laptops, mobiles as well as television. Today, we have content which is developed and delivered in media agnostic verticals. It is no longer governed by the deliver device but more down to what matters- the content itself. The same devices you listen to stuff on are often the same devises you watch stuff on. YouTube music video have taken off as one of the most popular ways kids listen and watch music today. This itself is only the tip of an iceberg that is constantly adapting and adopting content to technology and we have all seen that the television itself is to be changed and some would suggest become the home entertainment server. The we have the success of the BBC’s iPlayer which should be giving the new brooms the idea that their business fundamentally is about content and rights not about broadcasting be it on television or radio which to many is like having a telecommunications company and dividing it between telephones and mobiles and forgetting all the other stuff and the fact that its just about communications. The Victorians gave us the Penny Press, Short form and episodic fiction, serialisation and book and pamphlet advertising. Some will suggest that today’s developing digital market can learn much from yesterday’s initial era of mass reading. Today we read of another ‘new’ Victorian‘ idea – the ebook with adverts. We see adverts on many digital services today. You have to suffer the pop-up 20 seconds, before they let you into where you want to go. Now www.eBookPlus.com , is introducing ebooks with adverts on a ‘with advertising it’s free’ model. A service offer based on the premise that you will accept adverts at the front of the book and each chapter to get the content for free. Adverts in ebooks is going to happen, it is now a question of how it will happen and the implications of the change. We believe that no single platform will prevail and it is somewhat hard to see how it is a sustainable unique selling point. But what about the questions we need to ask ourselves? Is advertising supplemental or replacement income? When will the ad space be sold? It is hard to see pre production advertising sales in all but the bestsellers, but do we like some other media segments, now get involved with increasing ad sponsorship and sales at the concept stage? If we apply adverts to digital why not also apply them to print? Is it outsourced the ad agents, done in-house by the publisher, or left to the distributor and retailer? What happens in the case of the self publisher? Should the advert be tied into the individual title and its content, or as the Victorians did it, completely independent of the subject content? The tied-in advert may well work at the bestseller level, but can it work on the rest? Does advertising actually get sold on block at a genre level and in doing so have greater appeal to advertisers who will enjoy a wider audience? If we talk about genre wide adverts, then we must we also consider adverts across all publishers within that genre? Can we have sponsors of all a publisher’s works? Imagine Nike could be sponsoring all Random House works this year. We also could envisage sponsoring deals on fixed time slots where Cadburys become the proud sponsors of Penguin literature. Advertising can be envisaged at many levels but which will raise the revenue return and be acceptable to both authors and readers? We could envisage some interesting and maybe lucrative adverting or sponsorship auctions which could bring in significant money but who are best positioned to manage, control and exploit these? Will moral rights be applied or are surrendered? Can an author say no to a Macdonald’s advert in their work? Can they insist on the type of advertising permitted? Can certain localised adverting standards be applied to what is a global work? Does the control sit with the publisher, the author or the distributor as we enter an era of moral rights which was never encompassed or envisaged in many rights contracts? What is the licence sold and duration of the rights? Does an advert have a defined shelf life, after which it disappears, or is it a perpetual sale that may be out of date, incorrect or even selling obsolete product within a short period of time? If an advertised product breaks advertising code, or the product is withdrawn from market, do the ebooks get recalled too? Imagine some of the recent processed food UK products that were found to not contain what they said and contained horse meat instead now being advertised in an ebook. Do the ebooks get recalled too? Can the adverts be refreshed, or are they embedded for life? Can an advert dynamically change according to territory sold into to and therefore can multiple ad slots be sold against the same space on a time and geographical or even on a demographical basis? Are adverts sold to an individual demographic profile or to a mass market? If we assume the right to advertise is not exclusive we could have multiple channels each having their own slots and net revenues but will a standard model prevail or will it be many different net based models? It is often hard to see the opportunities when we look at the threats to book retailers today. Many just see dome and gloom and create what some would say is an environment of self prophesying decline. Geographic markets are different and within the UK there are clear government and civic challenges of higher rates, rents the unfair status afforded to charity shops manned volunteer staff. That’s without the corporation tax avoidance advantage achieved by many internet stores within the EU boundaries and the current EU digital VAT fiasco. There are the challenges of competing not just the physical book market but with an increasing digital market. This is not just about people adopting the technology, or the convenience of ordering online, but also the lack of coherent pricing which today can result in the 20P bestseller and a general devaluation of all books. There is also the limited range and keenly priced increasing supermarket offer. They may just want the bestsellers and safe bets, but in doing so they effectively cream off those titles with mass appeal at the expense of the bookstore. This week we read about Foyles, who at the time that they are planning their big move and the store of the future, are having to make staff redundant in their existing business. Today, everyone is looking hard at their costs and trying to cut their cloth accordingly. Also this week Victoria Barnsley discussed the idea on BBC radio 4’s ‘The Bottom Line’, that bookstores should consider charging customers to browse. If it’s ok for shoe store in the US to do it, why not bookstores in the UK. Well we could say that many jewellers lock their doors to control entry, but you would seriously advocate that for bookstores? You could point to the refund tickets for parking in many supermarkets and ask why not pay for customer parking on the High Street? The point is that book buying is different, much of it is impulsive and it requires a ‘hands on’, not ‘hands of’ hand selling approach. It would be easy to envisage empting bookstores and book ‘discovery’ moving further online and the customer contact becoming virtual. ‘Pay to peek’ is a barrier to buy and therefore not the answer. If we look at the alternative shopping experiments and practices, one that may lend itself to some larger stores and chains, is the personal shopper, that assistant that doesn’t sit behind the counter, but actively hand sells off the floor. Many will say we do it today, but many customers may question that. It isn’t about steering customers to the obvious, but adding value and helping them discover that ‘hidden gem’. A friend recently related an experience about being introduced to a quirky book by our local store and what a difference that made. The choice was perfect, the relationship forged and the repeat business and respect flowed. Straight forward, but is it truly an experience we all share? Then we have the great giveaway with the inducement of yet more’ free’ books. Has the ‘give away’ policy really worked? Has it lead to a significant rise in reading and growth in the market and have the bookstores that have backed it really benefited in a sustainable way, or have we merely created a costly blip which is flattened out over the year? We even those who have supported the idea that to promote 15 million £1 books on the back of giving kids junk good is good PR. It may bring more kids into reading, but at what expense and who will have ‘ketchup’ on their hands if the PR turns like it has with horse meat? More importantly will it build the marketplace, or just further drive buyers away from bookstores? 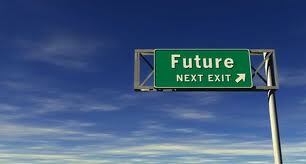 The glass is not half empty and opportunities do exist, but often change is required to leverage these. It may be no longer good enough to only sell ‘safe’ front list on a sale or return basis. It says ‘bookseller’ over the door and by that it surely means a variety of new, backlist, classics, bargains, used and even rare. Obviously each store has to build around its community and market proposition but looking past the latest release would help. After all how many consumer pick up a book and look straight to the publication date to see if it’s new? Books don’t have a sell by date. We were recently told about a publisher who celebrated a healthy pre Christmas order that turned to disappointment when after Christmas the entire stock came back and still all in its printer’s packs. Bookselling is a two way street. 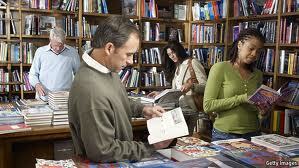 Bookstores have discovered that coffee may work and can increases footfall and interest. The same could be said of other goods and services. Ask yourself whether the Works a bookshop, stationary store, gift shop, craft shop or just a bargain store? What the product and demographic mix difference today between say, WHS and the Works? We look at the many excellent examples of bookstores that continue, despite the odds , to deliver in their community. We read of the success and enthusiasm of new ventures such as Philip Downer’s Calliope. What we see are bookstores changing and adapting despite the challenges and using their skills to make themselves appealing and different. What we must do is find ways to support these further, improve hand selling and reward excellence. The first sale doctrine which currently restricts the resale of digital files and in doing so obviates the second hand market, has always been suspect and now looks like its about to be tested even further by another piece of the evolving Amazon jigsaw. The abstract below is from a US patent filed by Amazon in May 2009 and just granted in January 2013. What does it mean to ‘used’ digital media such as music and ebooks is not clear today. We still have legal rulings to be declared in the ReDigi US case and we have the same company declaring its intent to come to Europe to resell digital music this year. Now we have Amazon holding a patent, which like ‘one click’ could restrict others whilst opening up a market that has been threatened for so long, yet ignored by so many. Not all patents convert and many sit in drawers. Amazon’s intent today is unclear and whether this was just to cover their lending programme, or is intended to cover full resale’s. Today their contracts restrict players such as ReDigi from using their files , but does this mean that they have been planning a further extension to their ‘walled garden’ all along? Can this patent be used against others such as Redigi, or be used by them to support resales? How will this piece of the Amazon jigsaw fit with the other significant pieces such as; Prime, FreeTime, Autorip, Lending, KDP etc? 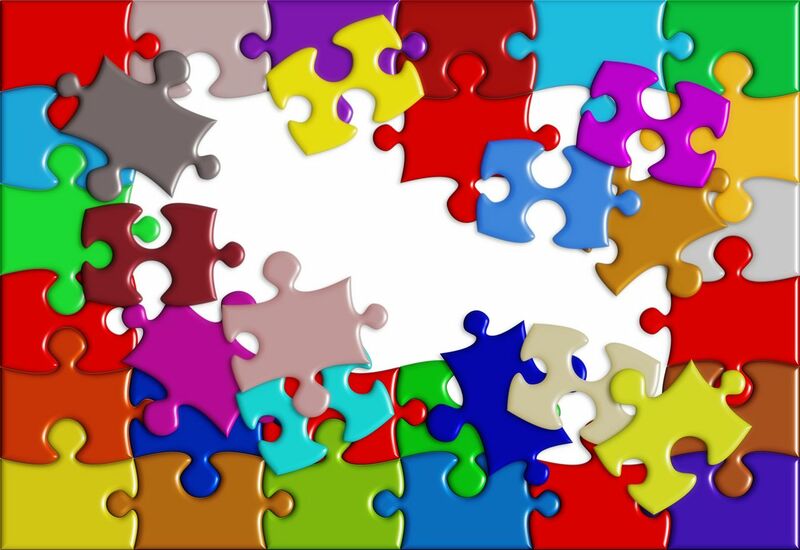 The one thing that is very clear is that one company is building a jigsaw and can envisage the picture whilst others are merely tinkering with the individual pieces and the edges. Neil Young, the musician, is now 67 and has lived through the last half century of changing music scenes, business models, formats and even channels. From his early Ontario days, through his first real break in Buffalo Springfield, then the super group era with CSN & Y, his unplugged music foray, his ‘other band’ and favourite Crazy Horse, his anti war protests, collaborations with the likes of Devo, his place at birth of grunge and his two time induction to the Rock and Roll Hall of Fame, Young has never followed an easy path. So why, after all these adventures has he decided to take $500K of venture capital money to popularize his dream of high-fidelity digital music and can it work? But can the bland MP3’s hold onto digital music, or can its stranglehold be broken buy Pono? However, Pono faces some massive barriers and today as many will opt for a ‘its good enough’ approach, as opposed to potentially a further investment and in the short term having to carry two devices. The change may be just too much and could potentially impact audio tuners, audio receivers, amplifiers, tape players, compact disc players, MP3 controllers/players, audio mixers, audio speakers in the nature of music studio monitors, microphones, audio speakers, compact discs, audio tapes, portable computers, antennas, phonographic record players, audio recording equipment. Well it doesn’t touch much then! The one thing that is in Pono’s favour is that most music is recorded and stored at high quality, although it may not be right for consumers today, the format is better for mixing, which means that there is a wealth of material out there ready to be adapted. It is at a higher bit rate and sampling frequency and therefore should sound a lot better and have more range than even CDs. It also has not been exposed to the pirate and low resolution copies. However, the big challenge is not the music but winning over the consumers as it will be harder to stream to mobile devices and will not work with today’s smartphone. 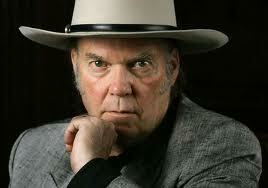 However, Neil Young may yet go down as the musician that reversed the tide of mediocrity.